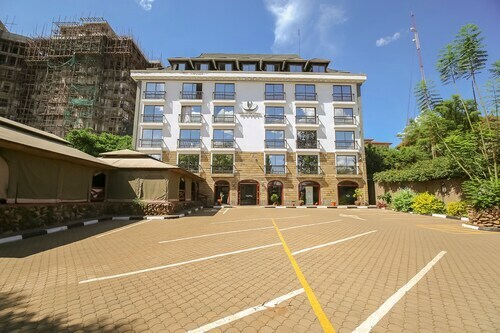 Situated in the business district, this hotel is 0.9 mi (1.5 km) from Kenya Railway Golf Club and within 3 mi (5 km) of University of Nairobi and Yaya Centre. Nairobi Hospital and Nyayo National Stadium are also within 1 mi (2 km). Situated in Nairobi, this hotel is 0.9 mi (1.4 km) from Nairobi Hospital and within 3 mi (5 km) of Yaya Centre and University of Nairobi. Kenya Railway Golf Club and Nairobi Railway Museum are also within 2 mi (3 km). 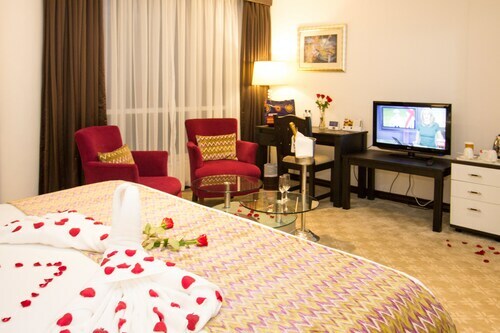 Situated in Nairobi, this hotel is within 2 mi (3 km) of Kenya Railway Golf Club, Kenyatta International Convention Centre, and Nairobi Hospital. National Archives and Arboretum are also within 3 mi (5 km). 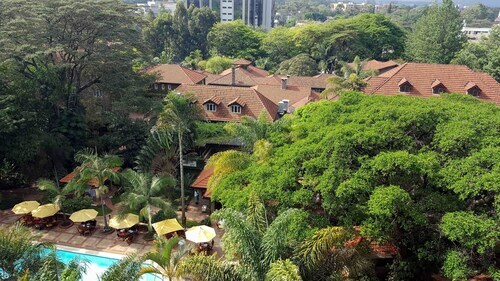 Situated in Nairobi, this hotel is within 3 mi (5 km) of Kenya Railway Golf Club, Nairobi Railway Museum, and Royal Nairobi Golf Club. Strathmore University is 2.4 mi (3.8 km) away. 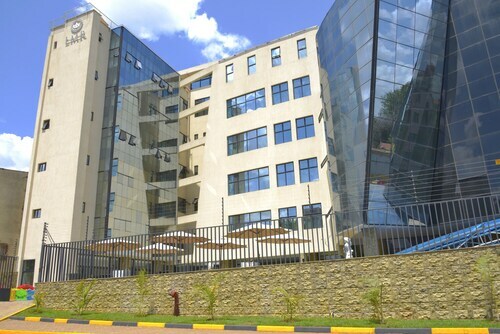 Located in the heart of Nairobi, this luxury hotel is within 2 mi (3 km) of Nairobi Hospital, City Hall, and City Market. National Archives and University of Nairobi are also within 3 mi (5 km). 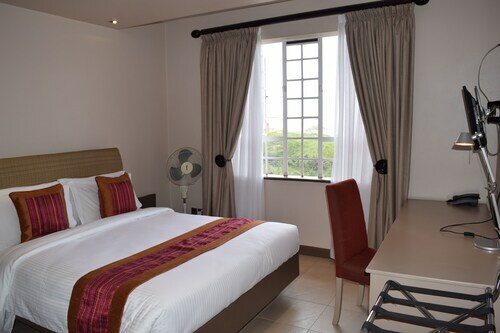 Situated near the airport, this hotel is 0.9 mi (1.5 km) from Nyayo National Stadium and within 3 mi (5 km) of University of Nairobi and Yaya Centre. Nairobi Railway Museum and Kenya Railway Golf Club are also within 2 mi (3 km). Great location and good service . Very clean and good food. The Ristorant open very lade. I went to lot of places and this on is a nice place to save money , nice and clean staffs are friendly so yeah nice place. Nice hotel, friendly staff, but again, the ball was dropped somewhere. I booked and PAID for 4 people but 2 days before arriving I was told my room could only accommodate 3 people and I would have to pay extra. I just don't understand why stuff like this happens. I'm currently requesting a refund for the 4th person. So many issues. Travelocity, you are supposed to be better than this. 1.0 Horrible. Do not stay here. Absolutely terrible experience at this hotel. Probably the worst experience I have ever had at any hotel period. 1. They tried to charge my Fiancé $50 to get back in the room after being gone for a few hours. 2. The hotel is remoldeling. The noise level is out of control both day and night. Got no sleep at all. They even called my room at 2am with the wrong number. The hotel management was awful. There only concern was only to get extra money out of me. They were not concerned or wanted to here about the excessive noise issue. No problem resolution skills whatsoever. Do not stay here. Badly updated third world hotel. Poor amenities, bad food, dingy overall. Not surprising in a country like Kenya, but you could stay at the excellent Radisson for the same price. 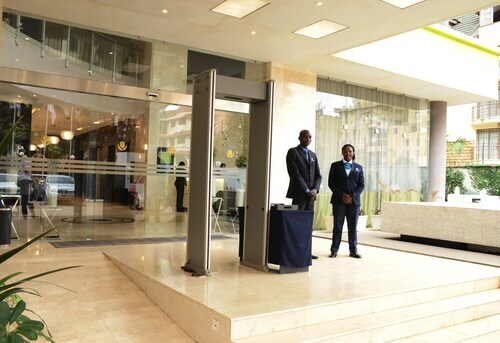 Fairview Hotel in Nairobi is conveniently located with a "resort" feel within the city. 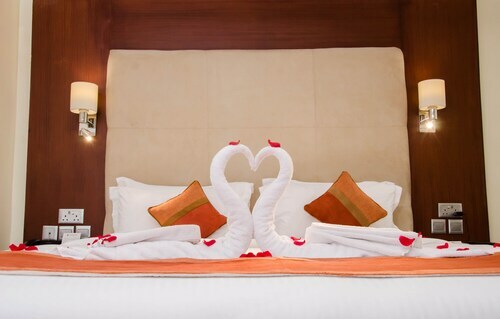 Hotel services are great, including multiple restaurants and 24 hour room service. Staff are friendly and accommodating. The grounds are beautiful and secure.